In thirty short, sharp, ingenious stories, Rich conjures up some unforgettable romances: An unused prophylactic describes life inside a teenage boy's wallet; God juggles the demands of his needy girlfriend with the looming deadline for earth's creation; and a lovestruck Sherlock Holmes ignores all the clues that his girlfriend's been cheating on him. As enchanting, sweet, and absurd as love itself, these stories are Simon Rich's Valentine to readers, an irresistible collection of delights. All that's missing is the heart-shaped box. 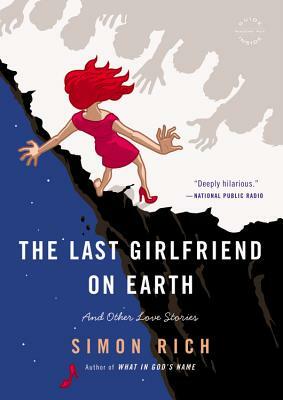 Simon Rich is the author of What in God's Name, Ant Farm, Free-Range Chickens, and Elliot Allagash. His work, including some of these stories, has appeared in The New Yorker ("It's always fairly obvious when a 'Shouts and Murmurs' piece in The New Yorker is the product of Simon Rich. Telltale signs include the elegant skewering of adult human behavior, as glimpsed through the eyes of children, animals, spectral beings, or inanimate objects-and the fact that the reader is hunched over laughing." - Joe Berkowitz, Fast Company). He has written film scripts for Lorne Michaels and Judd Apatow, and until recently he was a staff writer at Saturday Night Live; he currently writes for Pixar. He lives in Brooklyn, NY.